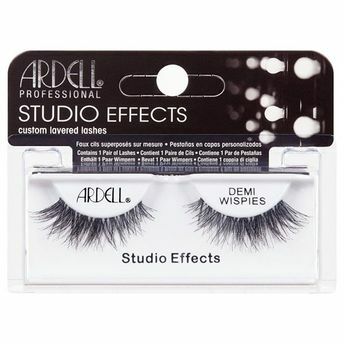 Ardell's Studio Effects Demi Wispies has been every makeup artist's favorite and been in every lash wearer's stash since forever. It provides the ultimate professional look! These 4 flared Demi Wispies Individuals have been placed at the outer end of the lash where it flares out.